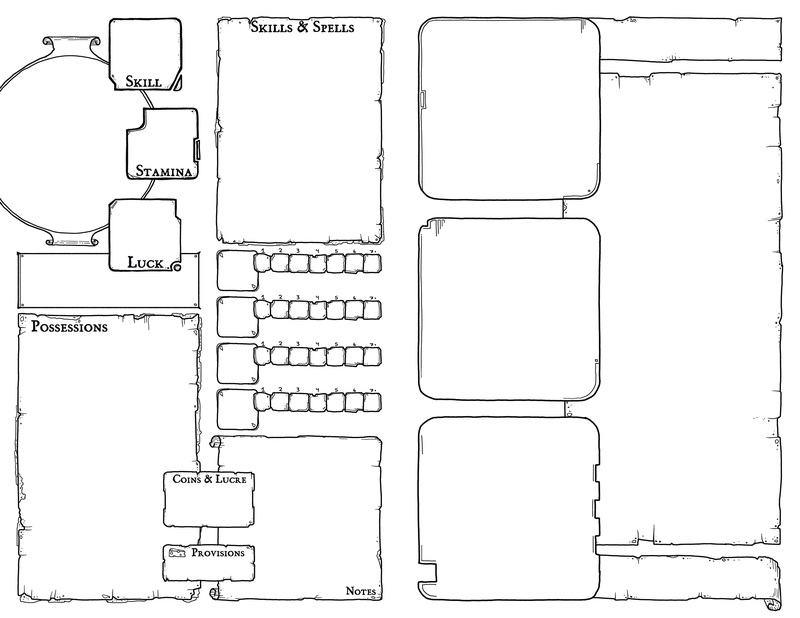 Raven God Games – Eldritch Tales. L’OSR contre les Grands Anciens… qui va l’emporter ? 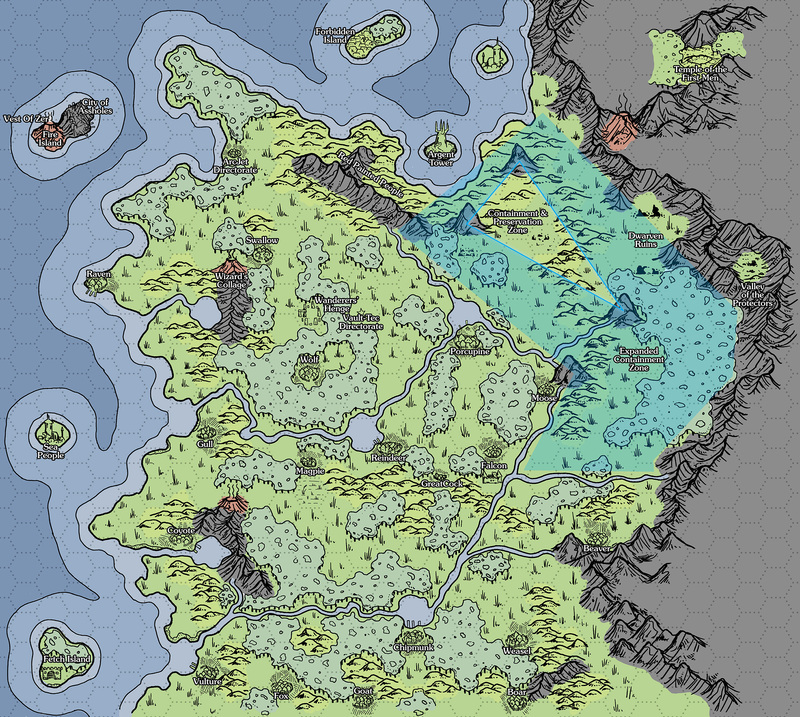 The votes for February’s “Release the Kraken” have brought us to a piece that I think would be a perfect fit into any Waterdeep: Dragon Heist campaign – Paradise Control. 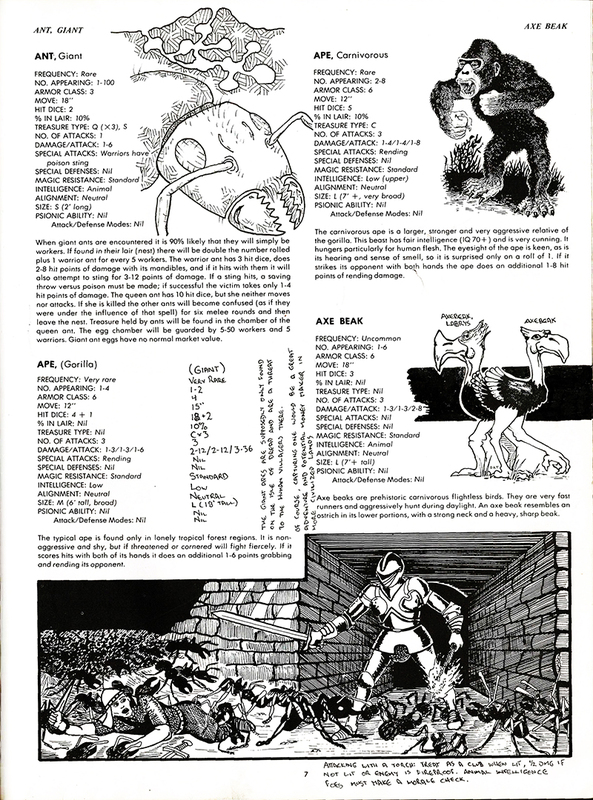 When I was asked for an underground casino map for a D&D game, I immediately had a flashback to the classic Operation: Sprechenhaltestelle adventure that came bundled with the 1980 & 1981 editions of TSR’s Top Secret RPG by Merle Rasmussen. 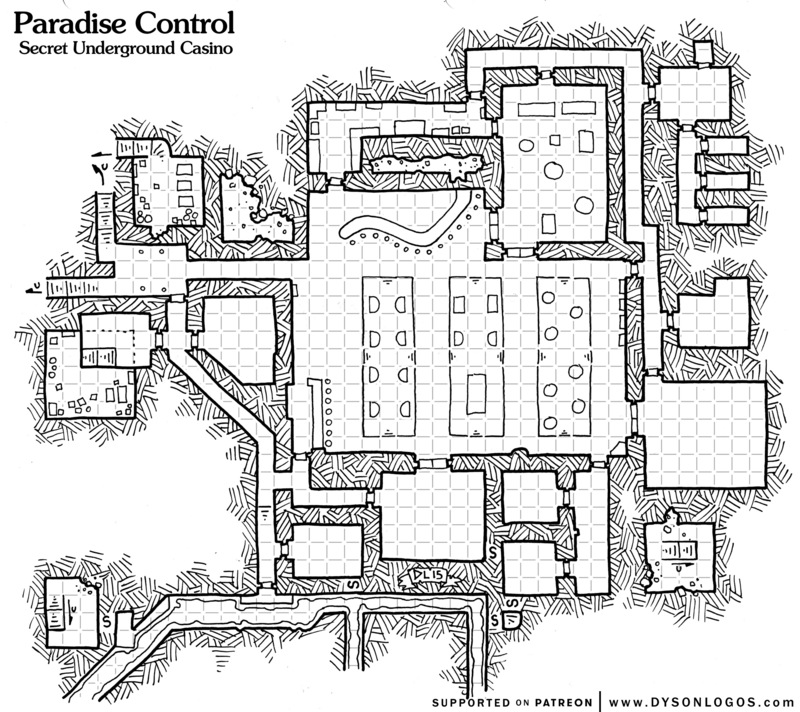 One of the organizations hidden beneath the streets of the city is Pair-a-Dice, a full-fledged secret casino floor set underground. 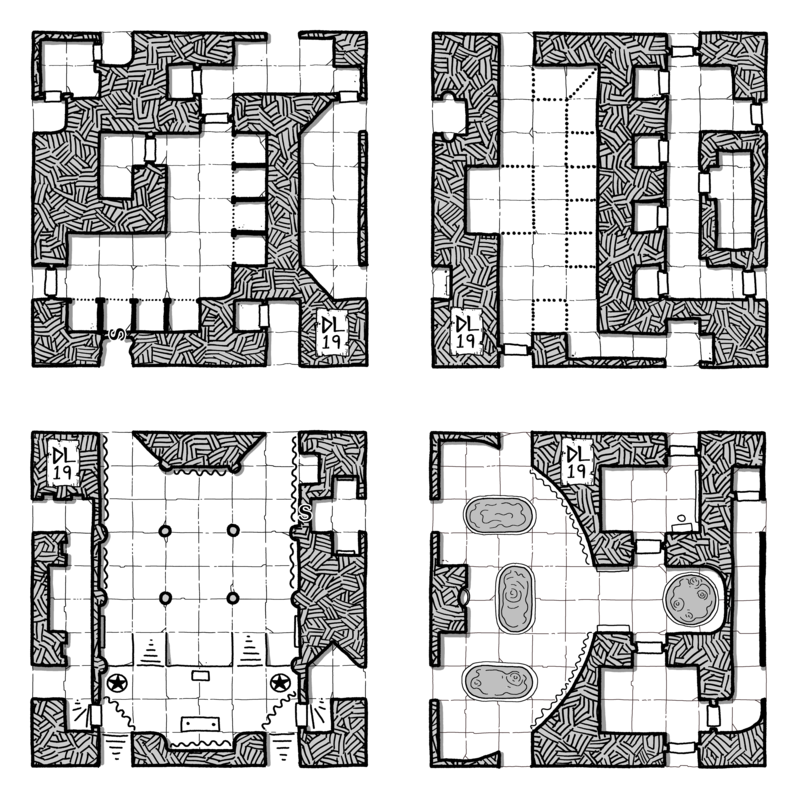 Now, realistically an underground casino in a faux-medieval environment would most likely resemble a prohibition-era gambling den more than what we think of as a casino – a couple of rooms where people can play their games of chance and maybe store some drinks and a couple of security goons. But this is full on fantasy, so I went with something a little more full-on James Bond, Dragonslayer. Paradise Control is a small casino when compared to modern mega-casinos, but is quite the underground establishment. It was built out of the basements of multiple structures in town, although disconnected from the actual buildings above during the construction phase. A few disconnected basements remain around the casino, but the only way to the surface is the stairs at the main entrance and a secret sewer escape system. There are two staircases down to the lobby of Paradise Control from a pair of local businesses. The lobby channels clients towards the main floor with three gambling “pits”, two bars, a linked restaurant and a few halls that can be rented, used for parties, or set up as additional gambling space as needed. The lower left portion of the map is the service hallways for general staff, including storage space and sewer access (for trash disposal). The upper right passages link the kitchen to the dinning area, and also provide access for security to the various rooms of the establishment (the security room is in the upper right corner and comes with a set of three cells for taking care of problems). Finally on the lower right we have a pair of offices off the main room, one of which has secret doors to the the southern banquet hall as well as to a secret stairwell down to the sewer area. 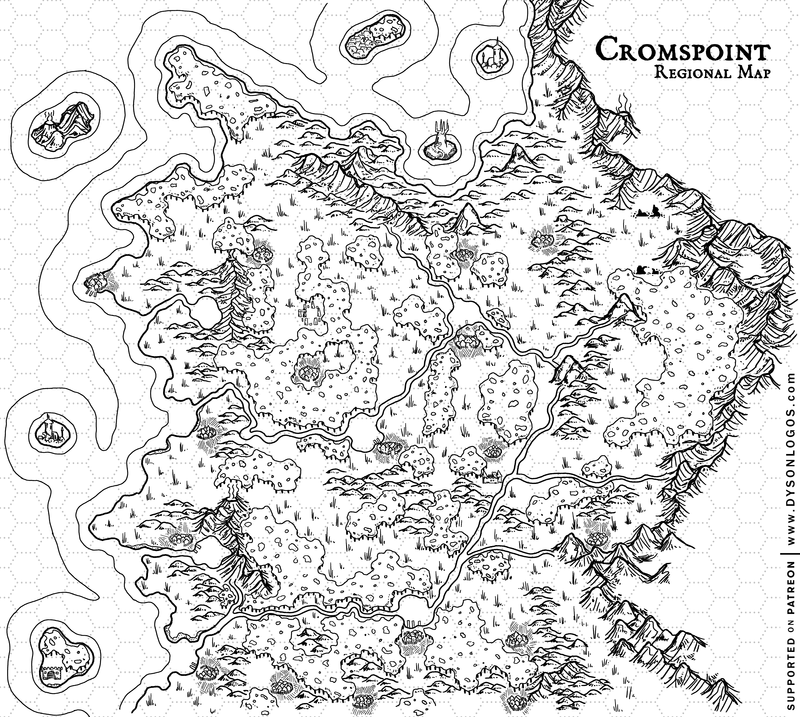 Inspiration is a KEY component to encouraging roleplaying in 5e. It is one of the elements that really changes up the game by directly rewarding roleplaying without using XP as the reward. The assumption in the game is that PCs earn inspiration whenever they roleplay their character’s Flaws, Bonds, Ideals, and/or Traits. A typical player should be able to trigger this at least 3-6 times in a session. Inspiration is a binary thing. Either you have it or you don’t. You can’t have more than one. 1. You can give it to someone else for being awesome. So if Fred pulls off an awesome stunt, you can throw Fred your inspiration. 2. You can spend it to gain advantage on any d20 roll. I recommend spending it quickly, so you’ll be able to get it again next time you roleplay a flaw, trait, bond or flaw. The trick to prevent players from hoarding their inspiration (so they’ll have it for that crucial death save or saving throw against dragon’s breath) is to hand out inspiration often. My experience is the only thing players hate more than the thought of not having a resource, is the thought of wasting it. Every time you give them inspiration when they already have it has them feeling like they are “wasting” an inspiration. Once they know there’s a good flow of inspiration, they start spending, and the game’s “inspiration economy” steps into action. 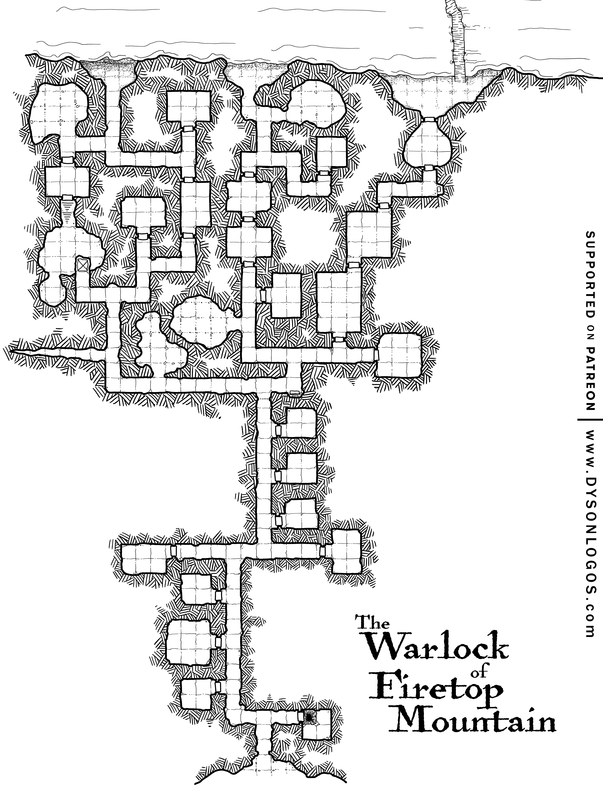 The big roleplayers will start handing off their inspiration to the players who don’t roleplay as actively in order to make room for their next one. Hand them out like candy. The more often you hand them out, the more often players will start using them. I use nice big fantasy coins to represent inspiration, so they are clearly visible and easy to remember, and make the “economy” aspect more tactile. Sean Goodison (@HighScoreKid) introduced me to a system from @is3rith that makes the system even easier AND better by handing the whole economy over to the PCs. Each PC is in charge of giving themselves inspiration when they roleplay their Flaw / Ideal / Trait / Bond. The big difference is that they can’t trigger any one of these items more than once per session. 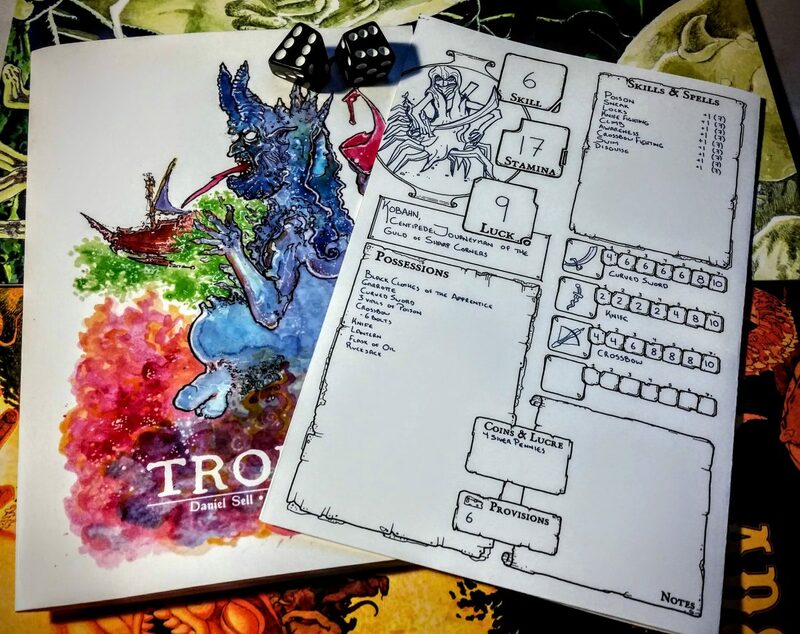 This gives a cap of 4 inspiration per session which is about perfect for a 4 hour game session for keeping the whole flow of inspiration going; and it means the DM doesn’t have to track 16-24 different inspiration triggers. 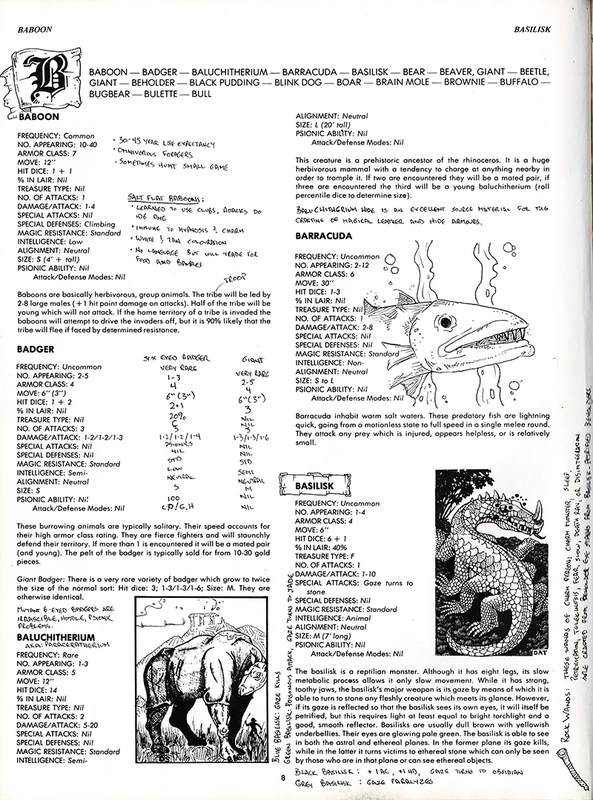 We have a creeping eyestalk from the Beholder illustration on page 10 in here, looking remarkably phallic without the beholder backing it up. 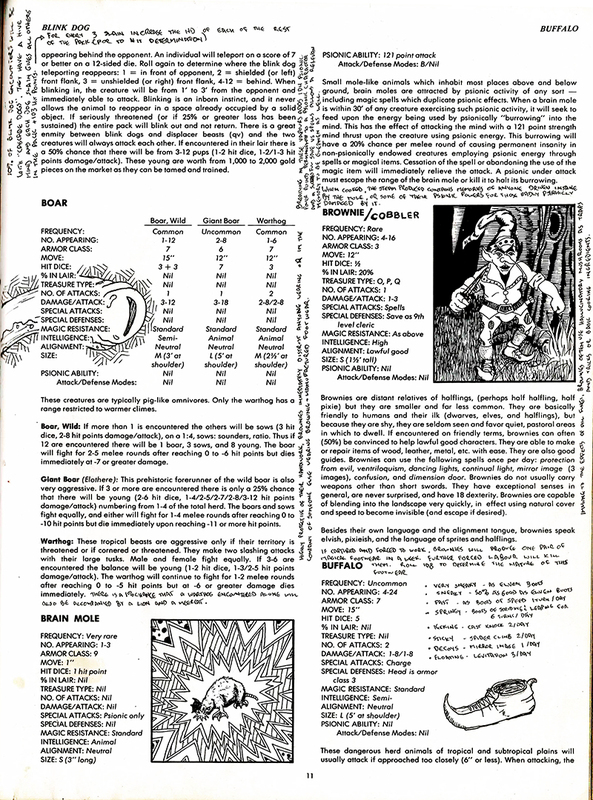 I also got to add my fun “Cascade Dogs” entry to the blink dogs in this page – I first used Cascade Dogs in a game in the late 80s and have only had two other opportunities to use them since. On connaissait les séjours ludiques (Semaines de l’Hexagone, Reves de Jeux…) organisés en centres de vacances pour les jeunes. Capitaine Meeple, associée aux croisières Costa, proposent aujourd’hui un nouveau type de vacances ludiques. On y trouvera des activités classiques de croisière (visites à terre, musique, avec le Naheulband, …) mais aussi essentiellement du jeu de tous les types (plateaux, jeux de rôle, GN, escape games, ateliers de game design, parcours enquête dans les villes escales,…). Devant le succès déjà annoncé, une autre croisière est d’ores et déjà prévue pour la Toussaint 2020. Ça y est, la cérémonie des premiers GRAAL d’Or du Festival International des Jeux de Cannes vient de se terminer et les lauréats ont été annoncés. Dans la catégorie Création Francophone : Colonial Gothic chez Batro’ Games. L’annonce du GRAAL sur sa page facebook. Seriously. Who uses these in their games? I need to run more games just to use these guys. And the six eyed badger. Dans Quantiques – réalité altérée, l’univers et le système de jeu ne font qu’un. En jouant l’on y met en place une forme de narration inédite et immersive. Les joueurs pourront utiliser du quantum et ainsi intervenir sur le cours de l’histoire prévue par le meneur. La narration y a été pensée pour que les joueurs y prennent part de manière fluide et que l’histoire ne perde rien de sa cohérence. Le système est constitué de règles de base simples, ne recquérant qu’un d10 par joueur, et de modules complémentaires indépendants les uns des autres. Ils pourront à l’envie être utilisés en association ou isolement. Le meneur de jeu peut donc choisir les règles qui lui correspondent, ainsi qu’à ses joueurs. Pour plus de renseignements et participer à ce financement : la campagne de souscription commencera sur Game On.